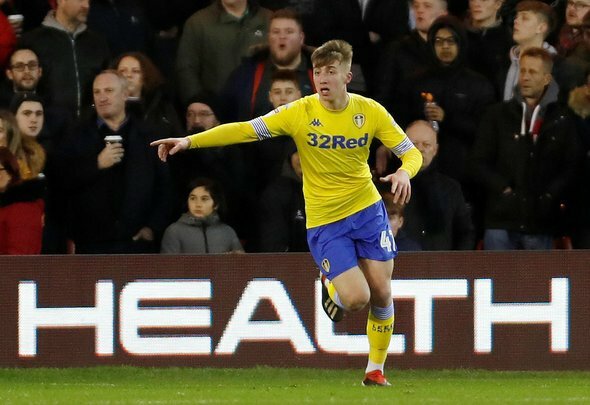 Liverpool are preparing to make a summer raid for Leeds United starlet Jack Clarke, with the club having made him a priority transfer target, according to the Daily Express. The newspaper claims that the 18-year-old is on Jurgen Klopp’s radar, having burst onto the scene with Marcelo Bielsa’s side this campaign. The Reds are said to have sent club personnel to watch the speed demon at their northern counterparts and that their impressive reports from Yorkshire have increased Klopp’s desire to win the race for the highly-rated teenager. Klopp wants Clarke to be brought in even if Leeds do achieve promotion back to the Premier League this term, with Bielsa’s team currently second in the Championship table. This would be a fantastic signing for Liverpool. There will undoubtedly be plenty of interest in Clarke, such is his talent and youth, but if Klopp can bring him to Anfield then he will have secured a wonderfully gifted young player. Clarke has burst onto the scene this season with a series of terrific performances for the Whites. He has emerged as a key cog in Bielsa’s machine in recent times, something which is made all the more extraordinary by the famously demanding nature of the Argentine. Clarke has broken through into an excellent Leeds side and is now a vital player for them. The fact that is still just 18 years of age is remarkable. He is going to become a top class player in the future and if that happens at Anfield then happy days. The fact that Liverpool have made him a priority target suggests that they will make an exerted push for him so who knows, he could very well end up on Merseyside next season.